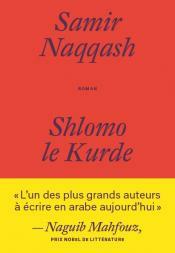 Samir Naqqash was an Iraqi jew, considering by Naguib Mahfouz as one of the greatest writers writing in Arabic today. His hero, Schlomo is a Jewish Kurd from Sablakh - Mehabad and the novel is about his tribulations in all the Middle East and India. The original novel has been published in Arabic : SHLOMO AL-KURDI. I did not find an English translation.